Paris . . . you’ve always wanted to go. you’ve just learned that you can sneak in a 3-day side-trip as an add-on to your Provence or Loire Valley vacation. Or your business trip somewhere else in Europe. What can you do in three days? Actually, a lot. But you need to ask yourself some questions. Is this your first trip? Second? You’ve lost count? If it is your first visit you’ll want to visit some big spots you’ve heard of, the Eiffel Tower, the Champs-Elysées. If you’ve already been there and done that but would like to see something a bit different, there are other options for you. 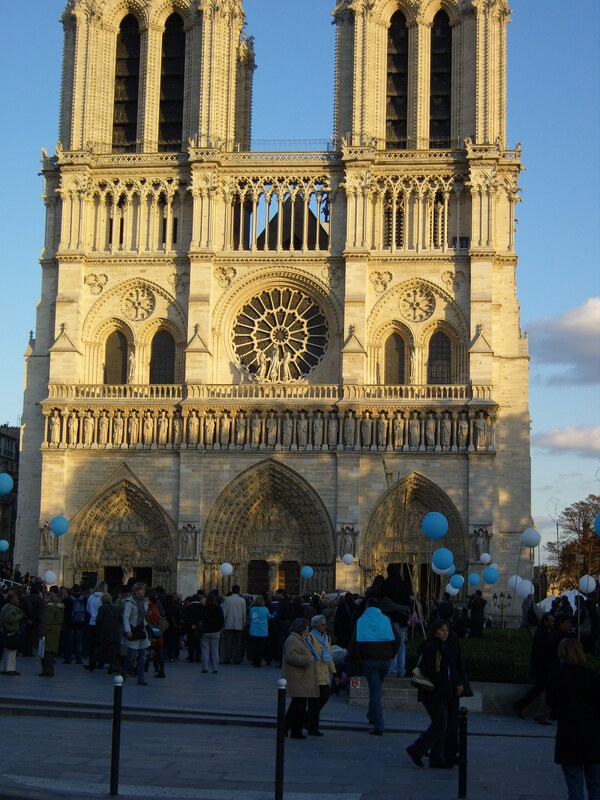 I’ll suggest a 3-Day Excursion in Paris for the first-timer and other ideas for your second or third trip as well. 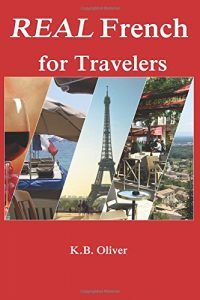 For any length trip, I recommend my book Magical Paris: Over 100 Things to do Across Paris. It provides concise explanations in both the Must-See and Less Known but Worth Seeing categories, as well as details on exactly how to get there, costs, and hours. (And now it’s also available in e-book for your tablet, phone, or Kindle.) There are even some unusual ideas for the mavericks among you! 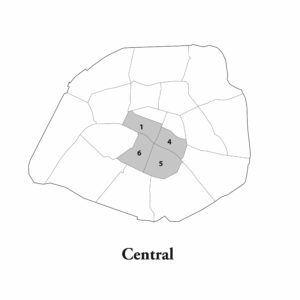 Paris is arranged in districts. There’s a high concentration of must-see monuments in the four in the center, that is the 1st, 4th, 5th, and 6th., which will enable you to see a lot without too much travel in between. The sites you may want to see that will require a trip on the métro are the Eiffel Tower (in the 7th) and Montmartre, in the 18th. If you look at the map you’ll see these 4 districts. Two are on the north bank and two are on the south. 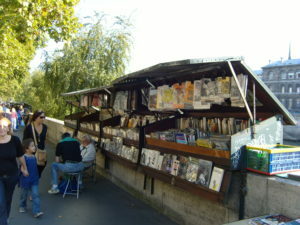 Day One: Start your day on the Ile de la Cité, or the larger island in the Seine. Afterwards, you’ll move on to the north bank, where you’ll roam around districts 1 and 4. The sites Saint Chapelle and the Conciergerie (where Marie Antoinette was imprisoned before her execution) are close together on the west end of the island. You can buy a combination ticket to see both of them. The Saint Chapelle has some of the world’s most beautiful stained glass. Notre Dame is a short walk to the east side of the island. When you’re ready to head to the north bank, take one of several bridges. Snap some photos of the Seine while you’re at it! If you take the Pont de Change bridge, you’ll arrive close to the Beaubourg neighborhood, a cobbled pedestrian labyrinth, where you can find some lunch. Go straight up a large, busy street called Sebastopol and veer left at Rue Saint Denis. This will take you into Beaubourg. Wander here and eat, then head east a few blocks to the Pompidou Center. The building itself (a museum of modern art among other things) is of architectural interest, but I really like the neighborhood surrounding it. See street performers and enjoy fountains and outside cafés. Depending on what time of day it is by now, you can walk or take the métro to the Louvre to see the outside architecture and pyramid and visit the Tuileries. PM plans: after dinner go to the Eiffel Tower and see it lit up at night. Very impressive! Today you’ll start on the south side of the river, or the Rive Gauche. Arrive at the station called Saint Michel and wander around the neighborhood just behind the station. Descend Boulevard Saint Michel and you’ll arrive at the Luxembourg Gardens. By this time, you’ll be ready for lunch. After that, you have a choice of going deeper into the 5th district to discover more of the Latin Quarter and/or the other direction into the Saint Germain neighborhood. If you have time, try to do both. There are walking tours in Magical Paris. After all your wandering, it might be a good time to take a boat tour. Catch one at the Pont Neuf, at the river and slightly westward. Today you’ll want to visit Montmartre. You’ll head to a different part of town, the north. Take the line 2 and get off at Anvers. You won’t see the Basilica for the buildings, but keep heading uphill and you will. There you can climb the big hill or take the funicular, then visit and wander the area until you’re ready for lunch. If you still have time before you have to travel, you can visit the Salvador Dali Museum or have a sketch done of yourself. If you’ve been to Paris before, be sure you see Les Invalides, a military museum and the tomb of Napoleon. Visit Chinatown down in the 13th district. The Musée d’Orsay is well-known for impressionist art, but have you heard of the Jeu de Paume, near the Louvre, or the Musée Marmottan Monet? 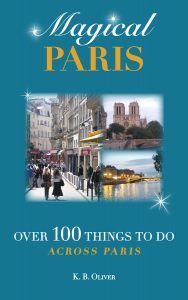 The book Magical Paris: Over 100 Things to do Across Paris will give you plenty of ideas of things to do in Paris, regardless of how much time you have! Jardin des Plantes is a wonderful blend of park, zoo, and natural history museums in the plural. Musée du Quai Branly near the Eiffel Tower is an unusual collection of primitive art from around the world. Parc Floral is just outside Paris in the town of Vincennes (although technically it is still part of Paris.) One of several botanical gardens in town. 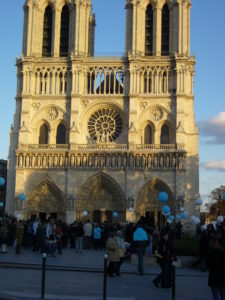 3 days in Paris, France, Paris, short visit to Paris, travel in France, what to see in Paris. Bookmark.